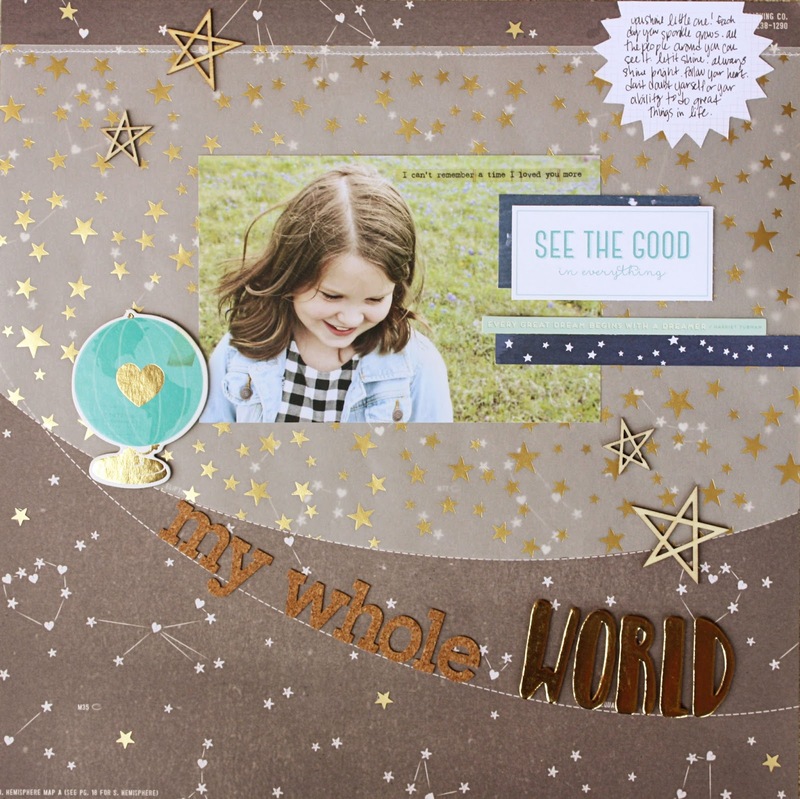 Let's be honest, stars and hearts never really go out of style in the scrapbooking world. Maybe that's why my stash is full of them! This page is full of all kinds of bits and baubles from kits and collecting over the years. The sunburst journaling tag is an ancient Studio Calico find, that was hiding in a long forgotten box. When I use things old supplies like that, it justifies to my former self who thought, "I'll need that one of these days." High-Five Me! The curved lines were so fun on this paper, I knew I wanted to incorporate them into my design. It worked out perfectly for the text string. Trimming the vellum to the perfect curve took a little more time, but in the end I think it was worth it. I stitched along the top to hold it in place. As Zoe is bridging the world from little girl to girl, my role in her life is also changing. I'm trying to let go, while still letting her know I'm always around. It's a delicate balance. It's hard to let go when she is my whole world. Having only one child is a double edged sword sometimes. She has me all to herself, but then again, she has me all to herself. For now she still lets me decide most everything, but I have a feeling those days are sooner coming to an end. It's these tender times that make me want to document every day, and every feeling. I love looking back at these moments and being able to see how much has changed, and how much has stayed the same.